We produce agricultural products like: Peanut in shell, Groundnut kernels, Rice, Tapioca, Cassava, Popcorn.. Presently, we are searching for global importers of our Peanut, Groundnut Kernels. We serve your requirements of specifications and grades. 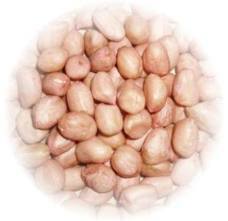 Offer for Vietnam Groundnut kernels - Grade 1 New crop, fully dry. We commit our product quality. - Payment: By L/C or TTR in advance. - Packaging: In PP bag of 50kg nett in container 20' of 19MT each. - Shipping: Within 10 days from the date of signing contract or depositing. Hope to set long business with global importers.